Our business was founded more than three decades ago in 1982. With more than 115 years of combined experience, our crew members have worked around the world in almost every imaginable situation. We are uniquely capable of providing a safe, reliable experience for you, your ships, and your cargo. We operate aluminum, steel-hulled vessels. Our retrofitted clean diesel engines are good for the environment and help keep rates competitive. Our vessels are larger than most of our competitors' facilitating smoother sailing, even in stormy conditions. 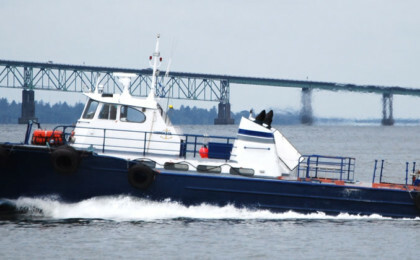 All our vessels are certified, documented and inspected by the US Coast Guard. All operators have a 100-ton USCG Masters license and experience to handle launch, line and cargo work. All operators have TWC cards. We have 5 hard-working vessels operating out of the Columbia and Willamette River Ports, and the Port of Astoria East End Mooring Basin. 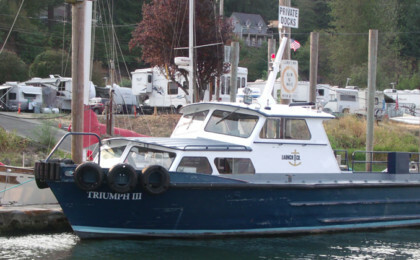 Click to see more of these "triumphant" vessels. Our main phone lines (503) 246-0535 is answered 24 hours a day. After office hours, the Merchant’s Exchange handles calls and can patch calls directly to the appropriate boat and operator. Each boat has a phone and may be contacted directly. We require approximately 1.5 hours of notice for service if we are not currently on the water. We invoice from the time our launch leaves our dock until it returns. There is a two hour minimum charge with billing in ½ hour increments. Learn more about the many advantages of working with Anchorage Launch Service. © 2016 Anchorage Launch Services Company. All Rights Reserved.